The owner of the property in this residential development had a rooftop garden installed as part of the integrated ecology and sustainability plan for his home. Here, bidim A4 provided protection to the waterproofing layer. 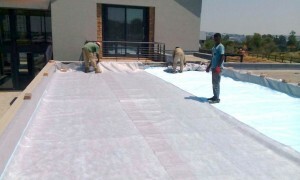 The bidim in this project used the equivalent of 1 081 recycled cooldrink bottles. 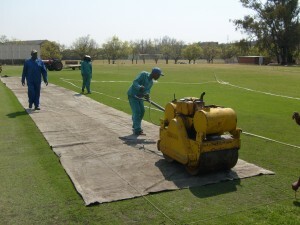 In an unusual application, bidim was laid over the Bulli (clay) cricket pitch and rolled over with a roller. While the grass was compacted into the Bulli, the pitch was sealed, and the water drawn up and through the bidim layer. Allowed to dry, the pitch was then re-compacted with the roller. In an unusual application, bidim A10 was used as a “blasting curtain” during the demolition of these decommissioned towers.